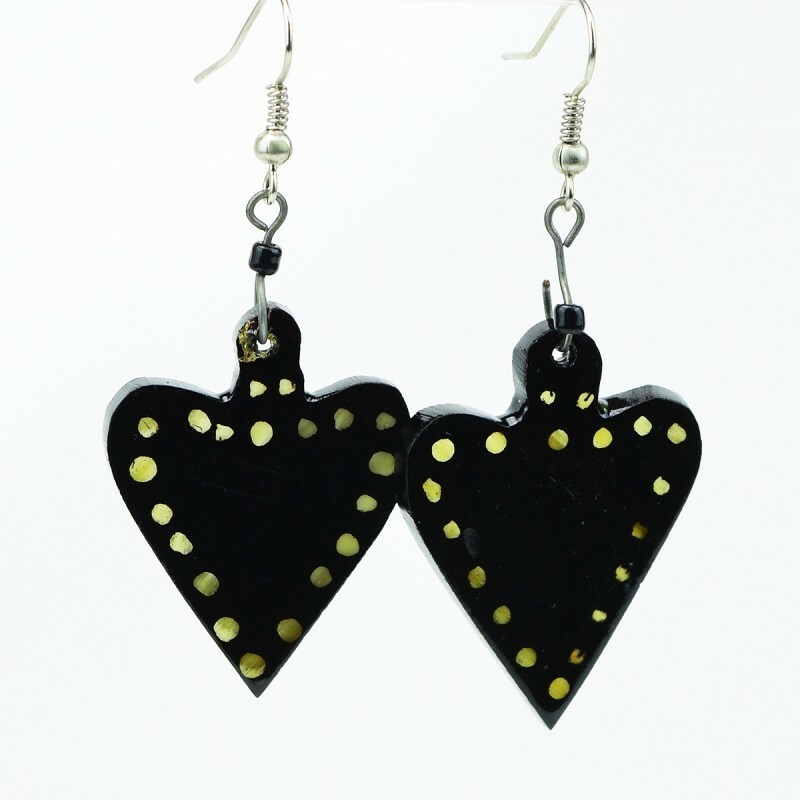 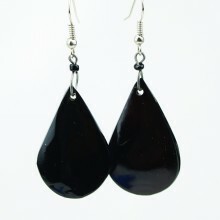 These heart-shaped polka dot cow Horn Earrings are from Kenya East Africa. 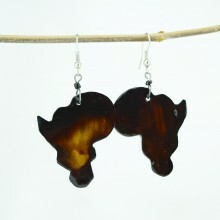 They were crafted by hand. 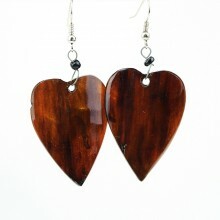 After being cut from a larger piece of cow horn, the smaller pieces were carved into heart shapes, smoothed, then stained using a natural dye. 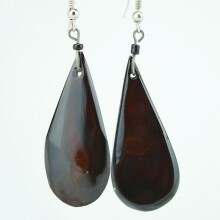 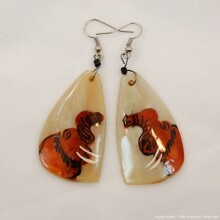 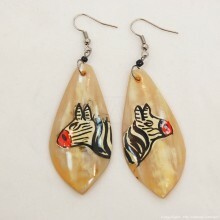 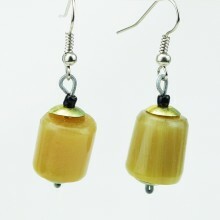 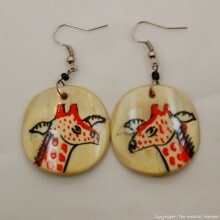 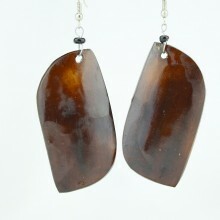 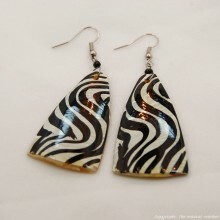 Due to the handmade nature of these earrings, they may have a slightly different appearance than the Kenya Cow horn earrings you see in the pictures. 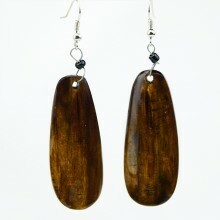 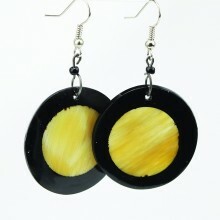 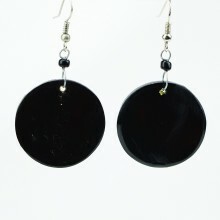 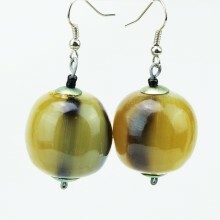 Size: Round disk approximately 1 1/2", whole earring approximately 2 1/2"
Browse through our other African Cow Horn Jewelry.